Estimating how much wine you’ll need is always tricky. It’s always easy to just grab one of everything, but, that can get a little pricey and leads to everything being opened and a bit of each being drank. As a rule of thumb, I usually go with at least 3 drinks per person throughout the evening. A 750 millilitre bottle has about 4 fair sized glasses of wine in it. Better to err on the side of too much than not have enough. Keep the receipt. You can return unopened bottles of wine. You can do this a number of ways. Maybe you want to stick to one type of white and one type of red. Have a Riesling and a Cabernet Sauvignon from each of the wineries and compare the differences from each. Think about adding a bottle or two of sparkling wine. 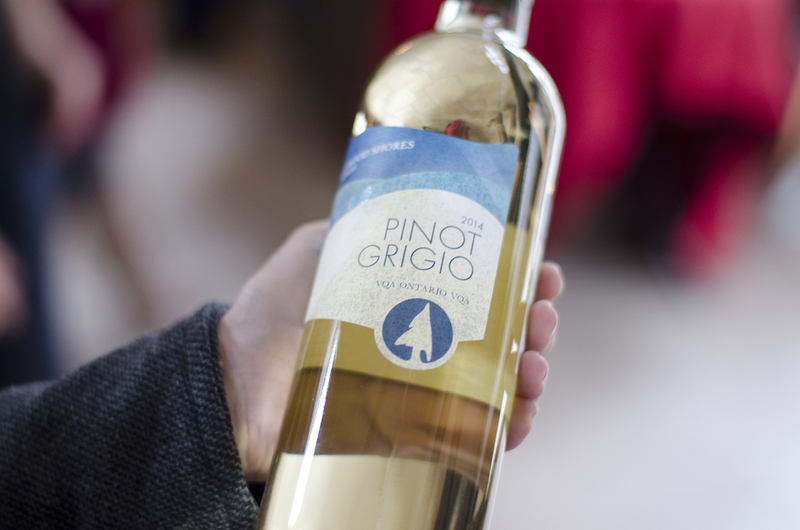 Better yet, whether people prefer white or red, host a Pinot Party and serve only Grigio or Noir! White wine should be served between 40-50F and red wine between 55-65F. Simple as that. Finger foods for the win. Think small. 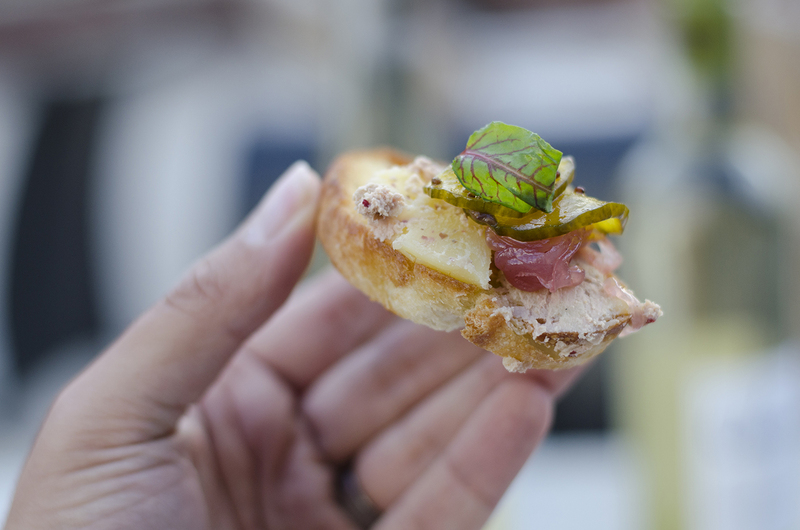 If you’re serving hors d’oeuvres, the general estimate is 6 per person, per hour. Have hot and cold and make sure to include vegetarian options. Be sure to include a few “palate cleansers” like crackers, bread. Check out our tips on how to make a great cheese board. Do a little research. If you’ve purchased the wine at a local winery ask the staff what types of food pair well with the wines you’ve bought. They’ll always have great recommendations. You could also check out our Pinterest board for several great recipes that have been paired with wine. While you can serve red and white out of the same type of glass, you’ll want to serve champagne and sparkling wine in a fluted glass. For larger parties, think about renting glassware if you don’t have enough of your own. You’ll want to keep the total glassware down to a minimum so you’re not using the two days following the party doing dishes. Wine charms? Lame. 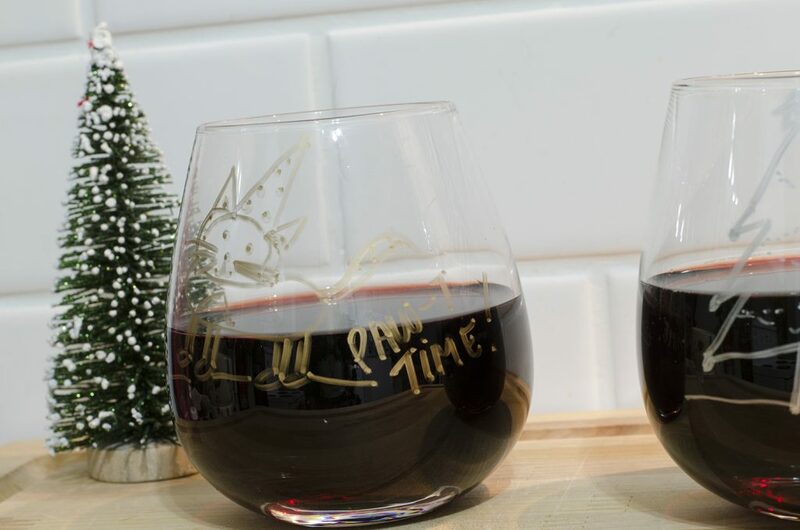 Customize each glass for the special someone to hang on to with wine markers. Is there a cat lover in the house? Broadcast that to the entire party with a special message or drawing on their glass. The great thing about wine markers is they shouldn’t smudge when holdng the glassware but easily wash off with some soap and water. Fun tip: we recommend keeping the markers out all night. After a few drinks you could have some hilarious depictions drawn throughout the night.